The countdown is very much on to the start of the 2018 Commonwealth Games which begins in earnest on Australia’s Gold Coast on Wednesday, April 4th. 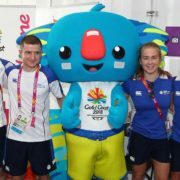 Team Scotland’s squash athletes arrived Down Under on Sunday, March 25 ahead of Wednesday’s opening ceremony at the Carrara Stadium. Located in Oxenford Studios, Queensland’s home of movie blockbusters, the squash competition will be contested in an impressive purpose-built venue in Sound Stage 9, which was used to film big-screen hits such as Thor and Unbroken. The two Singles championships begin on April 5th until April 9th with the Doubles (mixed, women’s and men’s) beginning on April 10th until April 15th. Scotland’s squad includes Alan Clyne (Singles and Men’s Doubles), Greg Lobban (Singles and Men’s Doubles), Lisa Aitken (Singles, Mixed and Women’s Doubles), Alison Thomson (Singles and Women’s Doubles) and Kevin Moran (Singles and Mixed Doubles). The draws for the singles events can be viewed here and for the doubles, here. Paul Bell and Martin Heath form the coaching set-up with Paul Bell also taking on the role as Team Manager for Team Scotland squash during the Commonwealth Games. Scotland’s very own Maureen Maitland will be a referee at the Games. Scotland’s Squash team had their second day of training in the Oxenford Studio facility on Tuesday, March 27th as they target Team Scotland’s first squash medal in 20 years. At the 1998 Kuala Lumpur Games, Peter Nicol secured a gold medal in the men’s singles with Nicol teaming up alongside Stuart Cowie to win bronze in the Men’s Doubles. Games debutant Alison Thomson said: “The venue is absolutely brilliant, and there’s a very bold colour scheme in place which is very striking – it’s definitely got the wow-factor. Alan Clyne and Greg Lobban are seeded second for the Men’s Doubles competition having won World Doubles gold in 2016 and silver in 2017. They are in Pool B alongside Guyana and Zambia. Clyne said: “We’re up against a lot of good teams in our pool and we haven’t played them before as Doubles, so we’re set for some good matches early on in the competition. How to follow the action. 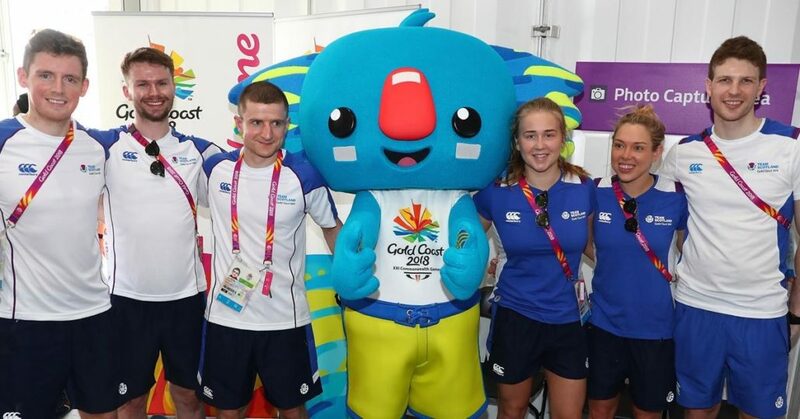 Team Scotland’s Communications team is already working tirelessly around the clock to provide comprehensive coverage and behind the scenes content across their various digital platforms from GC2018. The BBC are providing more than 200 hours of sports action across TV, radio, the BBC Sport website and mobile app, full details can be found here. Behind the scenes content can also be found on the new Scottish Squash Instagram page. Imagery and quotes courtesy of Team Scotland.